The gaming systems have higher quality components instead of the average components of consumer laptops, so their prices are much higher. Basic gaming laptops start at ₹50000 and can increase up to ₹80000. For that, you get a system that can run games in a resolution of 1366 x 768 with the highest graphics settings, or in Full HD (1080p) resolution with a little bit of detail. The Y520 is a good choice for players with a budget limit. It has solid CPU and GPU performance, simple maintenance and enhancement, and good input devices. This gaming notebook has outstanding specifications, such as the Intel I7 processor (seventh generation), NVIDIA GeForce GTX 1050 graphics card, up to 16GB in RAM, two Harman speakers with Dolby and a battery that reaches up to 4 hours of life. Acer Aspire VX 15 has all the features needed to satisfy any player who wants to enjoy their passion for video games from anywhere, and without having to spend a fortune as we are facing one of the gaming notebooks with the best value for money. The design of the Aspire VX 15 impresses from the first moment thanks to its backlit keyboard in red and two large and stylized ventilation sockets on the back that resemble those of a sports car. The 15.6-inch notebook is available with a 4GB Nvidia GeForce GTX 1050 Ti paired with an Intel Core i7-7700HQ processor. The GPU may not be powerful enough for VR, but it does provide enough muscle to run any modern game at 60 frames per second in Full HD. Acer Nitro 5 is one of the most beautiful notebooks of its kind, with very attractive design lines and good construction quality. The brand defines it as a gaming laptop for “casual gamers”, although for power it should have no problems running the latest games. It is a full-sized laptop with a matte 15-inch IPS screen, backlit keyboard, and quite solid specifications: seventh generation Intel Core i5 processor (Kaby Lake), 16 GB of DDR4 RAM, Nvidia GTX 1050 Ti graphics and 256 GB of SSD storage. The Dell Inspiron 15 (i5577-5335BLK-PUS) is a mid-range laptop oriented to the gamer sector with excellent storage, a powerful processor and a super-fast and expandable RAM. The Inspiron 15 is a fairly balanced device that can run most games without any slowdowns. The built-in GeForce GTX 1050 graphics card provides enough power to run almost any game at 1080p with a medium-high level of detail. 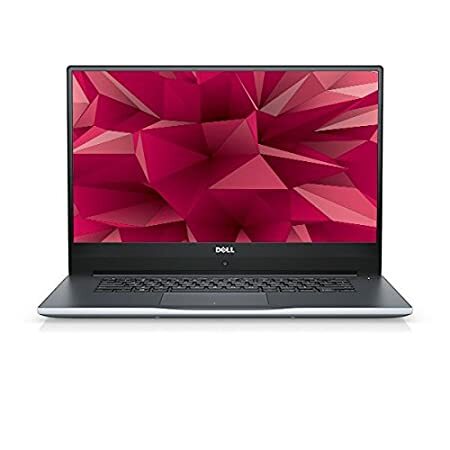 The Inspiron 15 is further enhanced by an Intel Core i7-7700HQ processor and features a 15.6-inch Full HD display, 8GB of DDR4 RAM and dual storage consisting of a 1TB hard drive and a 128GB SSD. 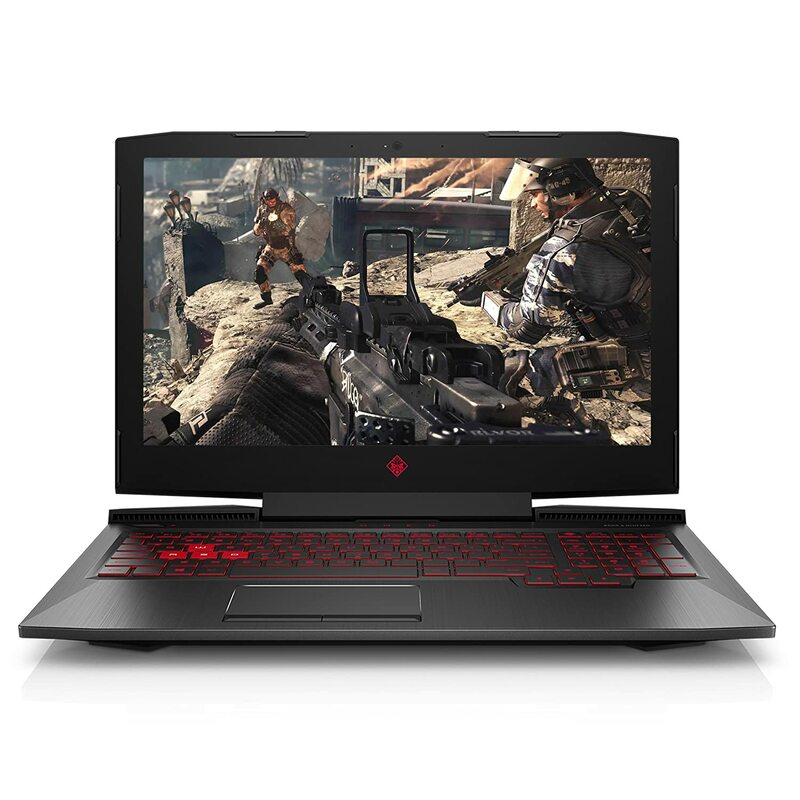 The manufacturer HP has strived in the cutting-edge design of his HP OMEN 15 laptop which dazzles with a sleek black chassis matte finish and textured patterns that are complemented by an ergonomic and backlit keyboard. Aesthetically it looks great, it’s fast enough to handle most of the games in 1080p, and it can finally support VR (with a graphics update). Although not designed to run games decently in 4K, the Omen 15 must satisfy most players. At the hardware level, the Omen 15 is powered by a seventh generation Intel i7-7700HQ processor in conjunction with a Nvidia GTX 1050Ti GPU.